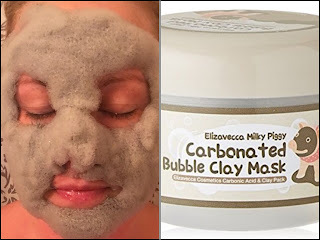 Elizavecca Milky Piggy Carbonated Bubble Clay Mask - a new fave! 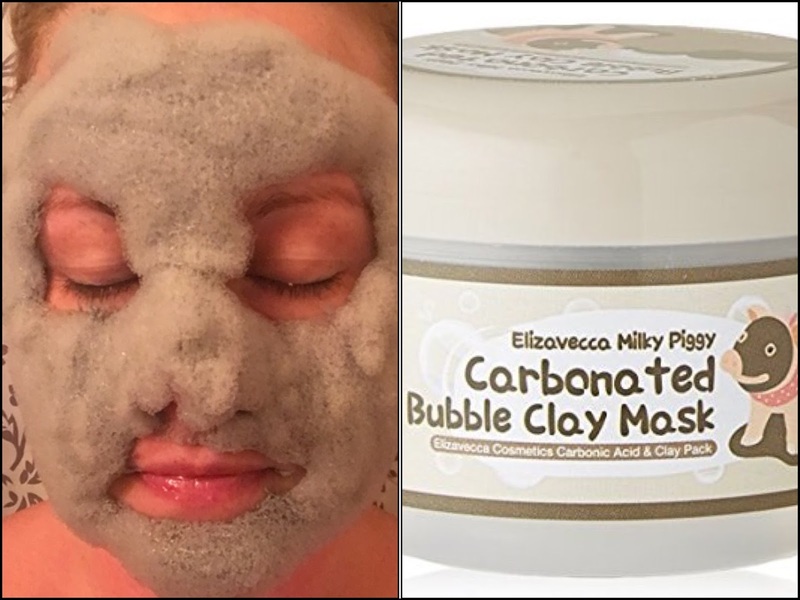 Here is the carbonated clay mask I used in the fb live video. I (and my kids) adore it. "Packed with Charcoal Powder, this quirky carbonated mask cleanses, exfoliates, and unclogs pores. It bubbles as it sloughs off dead skin cells and lifts pore-clogging dirt and sebum. Its powerful nutrients also replenish the skin, softening and smoothing for a youthful glow." If you watch the video you'll see I mention my friend originally purchased these products for me as a gift and I fell in love with them. It was interesting because I would have been skeptical of these products, not only because of the price (so much lower than I get even professional products at wholesale price) and because they're not technically "professional" (i.e dermologica, etc). She shared with me some of the information she had from her research, I did my own as well, and then another friend, who is a licensed esthetician recently told me she'd just ordered these products because her own research looking for products for her own problematic skin led her to them. I'm super picky about what products I'll publicly endorse because I know so many of my clients and social media followers try the stuff I say is legit, because they trust that I've checked them out. Formulated with carbonated water and mud, washes off pores and dirts on your on face. Contains various vegetable ingredients such as green tea, pomegranate and charcoal powder extract etc. Carbonated water gives a soft massage to pores. A adsorptive power of Charcoal and mud removes excessive subum clearly. Clay mud and charcoal powder removes makeup dirts and tightens pores at the same time. I start applying the mask at 7:13. This is from a fb live video I did for members of my VIP page on Facebook. 1. Apply it to all over your makeup face or bare face. 2. After about 3-5 minutes, massage your face lightly for 1 minute. 3. Put some water on your face and massage lightly. 4. Wash your face with warm water. Snail Cream may sound super gross, but TRUST, it's so not gross. This following I'm also just pasting from amazon, because it explains it well. I've done lots of research about the validity of these claims, and I'm giving it a thumbs up. I use it all the time. If you buy through these links, I get a (crazy small) percentage as an affiliate. The product does not cost you any more. Yet another reason why I loathe kertatin for curly hair! Because for MOST types of curly hair, using keratin treatments results in a very confused and damaged looking head of hair. I didn't even do her color - she's just detoxed and hydrated and cut correctly for how she wants to wear her hair. I'm a little obsessed with coconut oil right now. I've been using it as a "pre-conditioner" in the salon, I melt anywhere from 2 tablespoons to 1/2 cup of coconut oil (depending on how much i need to really saturate the hair from root to end, then apply it to dry hair. Post keratin and it turned her hair into dry mush. If that's even a thing. I guess it is, because I see if with keratin victims all of the time. We fixed her all up with Ouidad Cleansing Oil, Curl Qeuncher Condish Moisture Lock leave in, Climate Control Gel and Shine Glaze. Jiggity.